so you can shine your light into the world. Beliefs are the major cause of unhappiness, upsets, and limitations. The Clear Your Beliefs Program eliminates those beliefs at the core of your psyche. The process involves all three levels of the mind: Subconscious, Conscious, and Superconscious. You’re in charge at every step. You decide what you want to believe, and how far you want to go. Your CYB Coach will guide you, gently, step-by-step, through the process. Unlike other methods, the changes you make are permanent – your old beliefs don’t come back. I’ve been a consciousness explorer for more than 40 years. During those decades, I searched for tools that would open my mind, heal my past, and make me more successful. I experimented with dozens of methods of psychological growth, spiritual practice, and esoteric disciplines. At the same time, I was also a businessman and entrepreneur. I built a million-dollar consulting firm working with senior executives and Fortune 1000 companies. All of this experience has culminated in the programs I offer here. Throughout my journey, I discovered the power of beliefs. Because beliefs actually create our experience, we can change our experience by changing our beliefs. This includes the beliefs we hold about ourselves, about others, and about the world. Beliefs are not “right or wrong,” “good or bad,” or “true or false.” They’re simply tools we use to shape our reality. What belief is creating this experience I don’t want? How can I change my belief so I can change my experience? I’m happy that you’ve found your way here. Now, take action. Begin this exciting adventure by reading my free eBook. If you want to really clean out your subconscious beliefs, register for the Clear Your Beliefs guided program. Your CYB Coach will guide you, step by step, through the process. You’ll examine whatever is interfering with your life, and you’ll discover the belief or beliefs at the core of the issue. Then you’ll eliminate them, one by one. You’ll feel better. You’ll function better. Life will get easier, because the resistance and blocks that have held you back just melt away ­­– like magic. Did I mention that it’s easy? And also a lot of fun? I look forward to hearing your feedback. I’m always available to you to support your journey. Learn everything you need to know about beliefs – where they come from, how they color and shape our perceptions, and limit our possibilities, and how to change them. 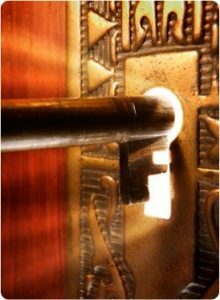 The book includes a powerful exercise to begin your exploration into your subconscious mind, so you can delete the beliefs that hold you back. The iClearIt App gives you the power to clear any physical discomfort, unwanted feelings, emotion, or pain – in just ten to fifteen minutes. A video coach will guide you through each step. Download it and try it for FREE one time. If you want to use it again and again, the cost is only $4.99 to unlock it permanently. Available for iPhone and iPad. Why Aren’t You Living the Life Of Your Dreams Right Now? You’re seeking a better life, and you’ve been on the path of personal growth for some time. You’ve tried many teachers and methods. You’ve had some breakthrough experiences and epiphanies. You’ve made progress toward your goals. Yet you continue to fall back into old habits and patterns. In some ways, life remains a struggle against your own internal blocks and resistance, preventing you from moving forward with ease and grace. What If You Could Permanently Delete Old Habits And Patterns – So They Didn’t Come Back? Hundreds of teachers and organizations offer the next miracle cure for what they believe ails you. They promise to improve some area of your life or business, yet their “fixes” tend to wear off over time. After taking their program, you’re revved up, transformed, and ready to go. Two weeks later, you’re mostly doing the same things as before. Your issues have returned to haunt you. Nothing significant has changed. You’re still not taking consistent actions to reach your goals or change your life. Have you heard the myth, “It takes 30 days to change a habit?” It’s not true. Research shows that some simple habits can be changed in only 30 days, but to make significant life changes, it takes much more time and practice. It can take months – or years – of hard work to shift old patterns of behavior. Eventually, new habits will replace the old ones. But that requires consistent, steady efforts – and most people give up long before that happens. The best doctors seek the source of the dis-ease. They don’t just treat your symptoms. When the cause of the problem is solved – where the illness is being generated – you return to health. When you pull weeds up by the roots, they don’t grow back. What is at the root of your old habits and patterns? What is actually causing so much unhappiness, frustration, and limitation? Our strongest and most deeply held beliefs are actually unconscious. They are at the root of all the habits and patterns in our life. But we’re only dimly aware of them, or not aware of them at all. Beliefs are at the core of every experience, decision, and pattern in our lives. Beliefs are the literal foundational components of human consciousness. 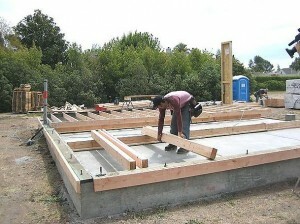 We build our thoughts, feelings, and attitudes upon that foundation. We literally create our reality with our beliefs. 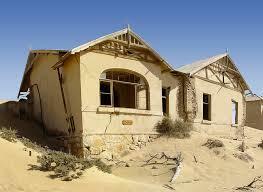 If you build a house on a shaky ground, it doesn’t matter how much redecorating you do. It will buckle, and eventually fall. You can fervently practice meditation, visualization, or business building skills, but if there are sneaky saboteurs in the basement of your mind, pulling the foundation out from under you, you won’t be able to achieve permanent success. Your brain/mind is more sophisticated than the fastest supercomputer. Like a computer, you have an underlying Operating System. If your O.S. has faulty programming, havoc results – especially when you try to run a sophisticated application – like managing your life. Negative beliefs operate like a badly programmed operating system, making a mess of everything else, and preventing you from doing what you came here to do. Do you ever have thoughts like these? I’ll never be like them. I need to do more (or better) to be accepted. Nobody wants what I have to offer. If I speak up, something bad will happen. You may hear inner voices that use these phrases to criticize or diminish you. This type of belief can cause depression, self-loathing, over-achieving, self-sacrifice, and other negative conditions. At the core of every bad feeling you have about yourself, and every limitation you have, there’s a belief operating in the background, like an annoying little machine that you can’t turn off. Here’s the good news: Every belief, no matter how deep, can be pulled up for examination, and changed. Simply and easily. 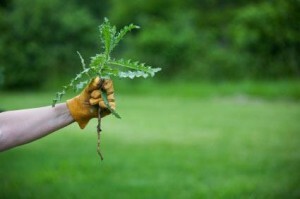 When you build a new garden, you begin by clearing the ground, removing rocks and weeds. Then you amend the soil and install a watering system so your plants will thrive. Only THEN do you plant the fruits, vegetables and flowers you want to grow and enjoy. First clear the old beliefs out of the way, THEN install new, empowering beliefs you want to enjoy. If you want to change your beliefs, you have to work with them where they live. Your conscious mind isn’t the right tool for making changes in your subconscious – it’s like tilling the garden with a screwdriver. To pull old beliefs out by the root, you need an effective method that dives down to the core of your psyche – deeper than words can go, deeper than talk therapy, or weekend workshops. When you make changes in your subconscious mind directly, change is permanent. You become different. Life becomes different. 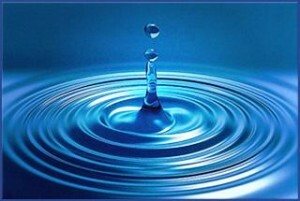 A shift at the core of the psyche expands out like a pebble’s wave in a still pond – effortlessly and easily. 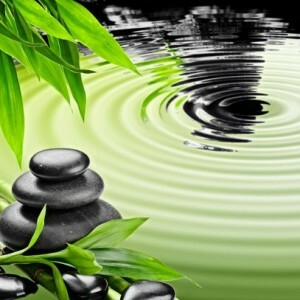 The new beliefs you choose simply manifest – without repetition, resistance or struggle. How you see yourself is determined by your beliefs – most of which were indoctrinated into you. 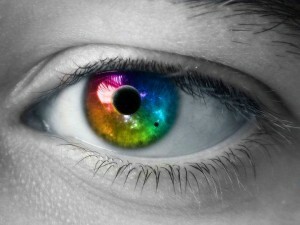 How you view others is colored by your beliefs about them. Your experience of the world is shaped (and often distorted) by your beliefs. Your entire life experience is constructed by the beliefs you’ve accumulated since you were an infant. Change the lens of your beliefs, and you’ll change both your perception and your experience. Change your beliefs, and your circumstances and your possibilities will also change. Many people agree that, “Your beliefs create your reality,” and tell you to “Just change your beliefs!” Few offer specific tools that will change your beliefs permanently. 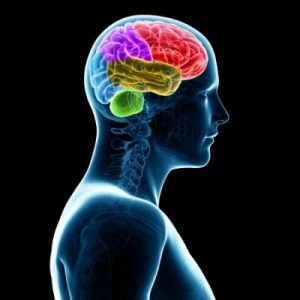 There’s a good reason: Beliefs reside in your subconscious mind – below the level of conscious awareness. When you were young, your parents and caregivers indoctrinated you with their beliefs. It began when you were an infant, before you could speak. Those indoctrinated beliefs are buried deep in your pre-verbal memory. Most methods can’t reach the basement where they’re stored. Your parents and caregivers indoctrinated you for a good reason: they wanted you to survive and thrive. Their beliefs allowed them to survive, so they wanted you to have those beliefs, too – whether they were a good fit for you or not. They didn’t know any better. it’s exactly what their parents did to them. Why didn’t I follow through? “Sudden Reaction Syndrome” can be traced back to the beliefs buried deep in your subconscious mind. Whenever your early childhood beliefs get triggered, the old pattern of reaction jumps up and hijacks your logical, adult mind. These programs are like mousetraps in your mind’s basement. They lie quietly until someone steps on them. Then they snap, and take control. You suddenly react. Your responses and behavior are suddenly out of your own conscious control. You can change these reactive patterns – if you’re willing to clean out your basement. Did the problem go away completely? Or did it return in some form? Every method works for some people, some of the time. If a particular technique creates permanent change, it passes the test. It’s a good methodology for you. But most methods create only temporary relief. Those old beliefs return like unwanted ghosts, and they cause the same problem again and again. Affirmations are new beliefs you want to install. You can say them all day long, but they don’t change anything at the subconscious level. Repeating them over and over is like stomping on weeds, hoping they go away on their own. 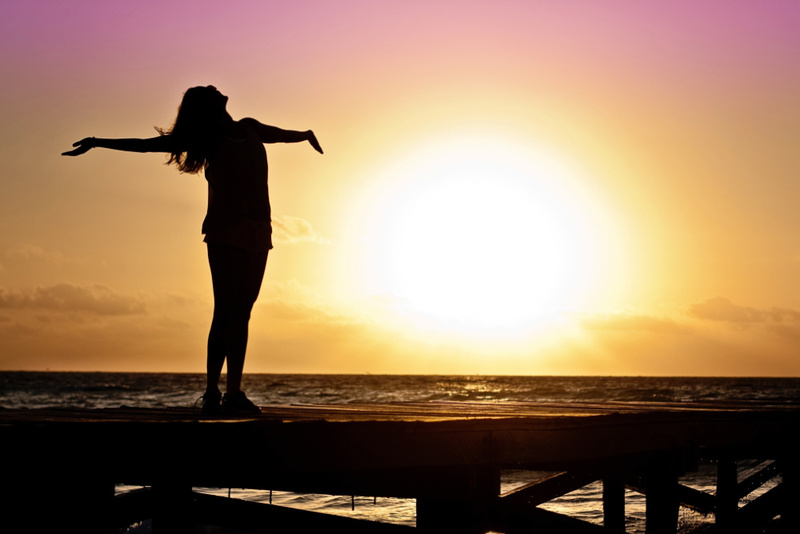 Affirmations make you feel better in the short term, but the feelings fade quickly – because the previous beliefs haven’t been eliminated from the subconscious. That Belief Isn’t True. Many methods help you recognize that an old belief isn’t true anymore. 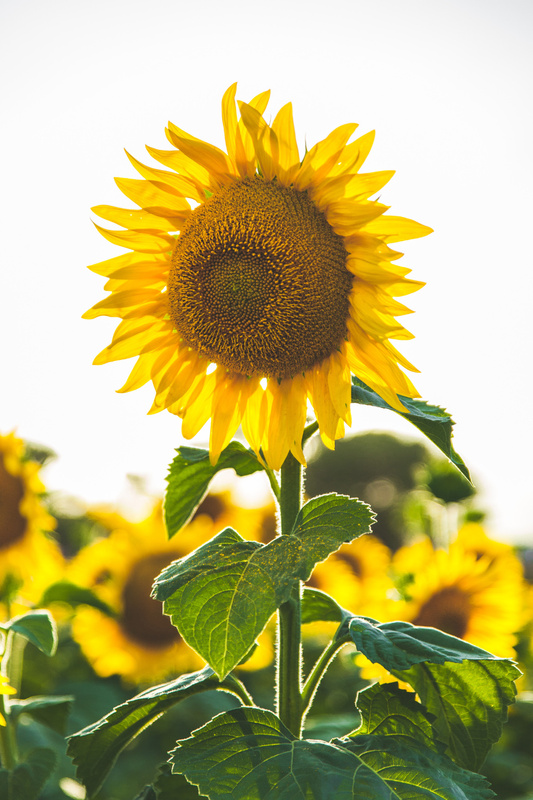 Techniques like Byron Katie’s The Work free you at the conscious level, but they don’t clear it at the causal level, where beliefs are stored in the subconscious mind. Tap Your Problem Away. 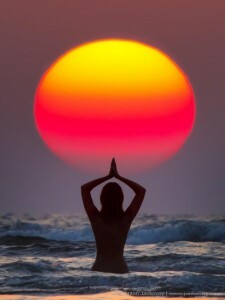 Many techniques (such as EFT) use tapping to shift your energetic patterns. They remind you to love yourself just the way you are (which is good advice!). Tapping frees blocked energy, and you can move forward. But too often, you meet those same negative beliefs again down the road. Most belief-change methodologies have the same result – the old beliefs pop up again later. The process didn’t create permanent change. The problem isn’t you! The problem is with the method – it was only partially effective! 1) It’s not your fault. There’s nothing wrong with you. 2) You can change your beliefs permanently. To get complete and lasting change, you need to use a process that pulls your limiting and negative beliefs out by the roots. Otherwise, they’ll pop up again and create the same problem. You can now Clear Your Beliefs – permanently. You’re no longer held back by old beliefs and stories. There’s no resistance to doing what needs to be done. You feel joy and positive energy as you move forward to create the life of your dreams. 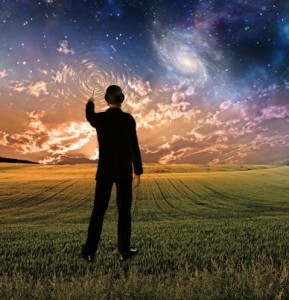 Want to manifest your dreams? Manifestation is the process of envisioning what you want, and doing whatever is necessary to turn it into a reality. Those discouraging words often stop us from moving forward. You need a way to clear those voices – because they WILL come up – it’s inevitable. It’s how beliefs work. Clear Your Beliefs is a completely new approach to solving this problem. The process is easy to learn, and easy to do. It changes beliefs at the core of the psyche, so they never return. You can finally remove those pesky blocks and barriers that keep getting in your way. 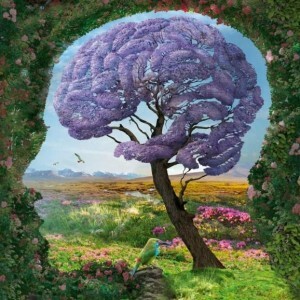 Using a powerful (and fun) guided imagery process, you’ll be guided to reach down into your subconscious mind to the source of your old beliefs. When you delete them from here, they don’t come back. Old thoughts, doubts, and fears simply disappear – for good. Your life changes. You can create what you want, without interference. 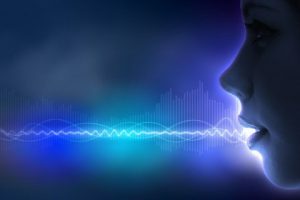 The Clear Your Beliefs process frees you from unwanted negative voices and experiences by dissolving emotional and somatic anchors that hold your negative beliefs in place. As a result, you have more of the experiences you want, and fewer of the experiences you don’t want. Is This A Guaranteed Cure-All? Unfortunately, no. There are no magic bullets that can remove your suffering instantly and magically. We use words like “You can create the life of your dreams…” to tell you what you CAN achieve, if you do the work. 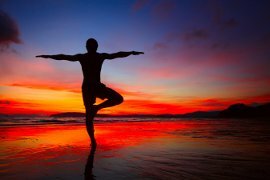 No technique can cure your ills or transform your life if you don’t use it. It takes work and dedication on your part. As miraculous as this process is, there are no free rides. 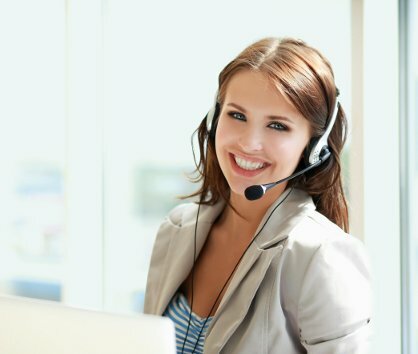 During the past ten years, thousands of clients have used this technique to clear almost every type of problem and issue known to humans. When you place your attention on the source, at the causal level, down where your beliefs are stored, you can clear your earliest, pre-verbal programs. It takes some work, and it’s very effective. Learn the Clear Your Beliefs process through our 10-week training program. Help your clients clear their beliefs so they can move their lives forward more easily and effortlessly. During the 7-week Clear Your Beliefs program, all aspects of you – mental, emotional, physical, and spiritual – are invited to work together to transform your psychological set point – the inner structure of your personality that formed during your first years of life. If you’re ready to remove limitations that have held you back, and create the life of your dreams, join us for this 7-part program skillfully led by Lion Goodman, creator of the BeliefCloset Process. During each class, you’ll uproot subconscious beliefs that have interfered with your success, happiness and personal freedom. You’ll upgrade your health, your work, and your relationships. You’ll examine and eliminate beliefs that were programmed into you about yourself, other people, and the world. 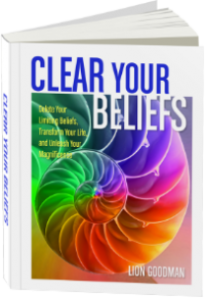 If you’re purchasing this program as a part of a Clear Your Beliefs Coaching package, your Coach will meet with you once each week (or as you’ve arranged) to follow up on the work you did with the recorded class. He or she will help you go deeper than you could possibly go with a recorded class, or on your own. He or she will guide you carefully into the depths of your subconscious beliefs, and make this program even more effective. You’ll step more fully into living as the magnificent, radiant being you already are (and eliminate the fear of doing so!). As a child, I believed there was something wrong with me. I didn’t look or feel like the other kids. I didn’t like who I was. I felt separate and alone. I didn’t know how to make it better. After decades of studying psychology, neurology, philosophy, history, religions, and engaging in therapy, workshops, and spiritual practices, I found answers to most of my questions. I noticed that whenever my life changed for the better, there had been shifts in my beliefs: When I changed my beliefs about myself, I became happier and more successful. When I changed my beliefs about others, my relationships improved. When I shifted my beliefs about the world and it’s possibilities, new opportunities came my way. The most powerful leverage for success turned out to be my beliefs. So I searched for ways to change beliefs directly. I wanted a method that worked consistently, and transformed beliefs permanently. The belief-change methods I studied turned out to be only partially effective. I asked Source to help me with this dilemma. 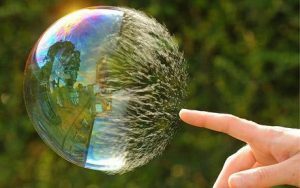 And one day, I received a divine gift: a “download” – a way to delete beliefs easily and permanently by engaging the subconscious mind in a playful way. I called it The BeliefCloset Process® because it used the colorful metaphor of clothing in your closet to represent beliefs in your subconscious mind. When your closet is crammed full of old outfits you’ll never wear, it’s time for some Spring cleaning! The BeliefCloset Process turned out to be much more than a belief-delete button. It’s a method for healing deep psychological wounds. Having worked with thousands of clients over the past decade, I’ve watched profound change echo through their lives, lightening their burdens and creating a brighter future. During the past decade, I’ve taught this methodology to hundreds of coaches, therapists and healers in 18 countries around the world. Testimonials from clients pour in, expressing deep gratitude for the ability to clear long-standing problems that other methods haven’t touched. I am grateful to have brought it through. Now I want to share it with you. 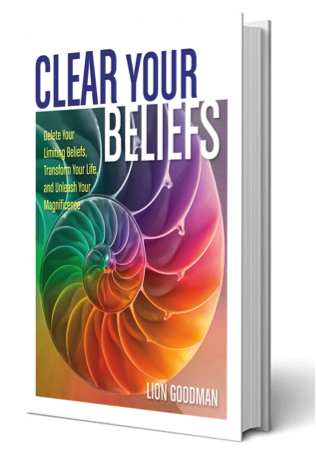 In the Clear Your Beliefs program, you’ll use the BeliefCloset Process to shift beliefs that no longer serve you. Your old programs might be creating a mess in your relationship with your partner, or your children. They might be limiting your business or financial success. Your beliefs about work may be making you unhappy, or your beliefs about your body may be impacting your health. If you feel limited or stuck in any part of your life, there are beliefs underneath those feelings – and you can change them. A lot of people say, “just change your beliefs…” as if it were easy. The truth is, it takes the right technique, applied in the right way, along with the right guidance. In the Clear Your Beliefs course, you’ll get guidance from me, through a series of recorded classes. If you’re registering as a part of a Clear Your Beliefs Coaching package, you’ll work with your professional Clear Your Beliefs Coach in private sessions to follow up on your work with each recording. You’ll experience seven sessions of deep healing and transformation, then go deeper with your coach each week. Clear your old beliefs, and create the life you want. This is true self-empowerment. Decide what you want, and how you want to live. Then go out and make it so. Use the process to clear whatever gets in your way. Your light will shine more brightly, and new possibilities will open. We are delighted to offer you this empowering program, which thousands of people from around the world have completed successfully. You’ll receive seven 90-minute recorded sessions, which you can listen to at your convenience, plus 8 hours of powerful transformational coaching from a Certified Clear Beliefs Coach. You’ll go deeper each week as you listen to one recording, and then work with your coach, one-on-one. You’ll discover your core wounds, the beliefs at the core of your psyche, and you’ll transform them, one by one, to clear whatever is in your way. The Clear Beliefs Method is the most effective method we know for clearing limiting and negative beliefs. Hundreds of coaches and therapists around the world use this method to help their clients free themselves, heal, and succeed in life. 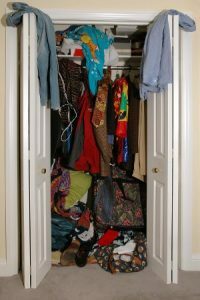 When you begin Spring cleaning, the first step is that dreaded moment when you open the door to your closet, and realize that you have to take everything out in order to begin the sorting process, before you can decide what to keep and what to toss. In this first session, you’ll examine your old beliefs, and determine which ones no longer serve you. 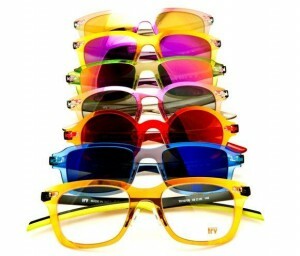 It’s time to discard them and clear some space! You’ll get your first in-depth experience with the BeliefCloset Process and discover that you can permanently delete a belief from your past – even beliefs that have been annoying you for decades. 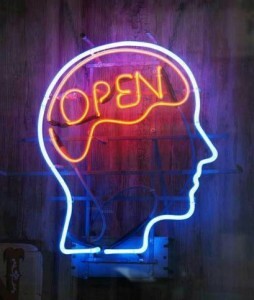 You’ll feel more open, empowered and free to choose your beliefs and the way you live your life. In the 2nd module, you’ll focus on issues and problems that have kept you from being happy and joyful. What do you believe about yourself? Your idea of “Who I am” is based on beliefs and programming you got as a child. What messages did your parents, caregivers, and siblings plant in your child brain that still affect you? In the BeliefCloset, keeping your old beliefs about who you are is akin to keeping all of your infant clothes (including those smelly diapers!) in your closet. It’s time to haul them out, and toss them out! You don’t need them anymore. If you hear critical inner voices berating you, don’t miss this session. Rid yourself of those pesky critical voices along with the diapers! Your abilities are limited only by your beliefs. If someone else can do it, so can you. This isn’t a magic pill – you still have to learn skills and practice them – but the only thing in your way is your old beliefs. Our will has been weakened from lack of use – like muscles that shrink when they’re not exercised. We let our negative beliefs stop us. You may hear internal voices say, “What’s the use? You’ll fail anyway. You don’t deserve happiness – look at you!” We were shamed into thinking that we were less than others.We learned to compare ourselves to others – and we always lose that contest. Clear out any apparent limitations you’ve taken on, and find your true power to create what you want. Do whatever you need to do in order to achieve your vision. Do you have beliefs that stop you from dreaming big, or following through? Do you procrastinate or get distracted? In this session, you’ll eliminate those beliefs and relieve yourself of those symptoms. You’re already a master manifestor – you’re just manifesting your old programs! Dissolve the old beliefs that get in your way over and over, or make you quit when you’re partway there. In this session, you’ll delete beliefs that interfere with your personal relationships. If you’re married, are you happy and secure? Or are you anxious about the future? If you’re not in a relationship, what’s holding you back from finding your ideal mate? Humans are social creatures – we must relate to others to survive. At our core, we want a security and safety, but we also want passion and romance. You learned “what love is” from your parents – so it’s no wonder that you’re confused! Most of us repeat patterns we learned from our early childhood. We watched our parents interact, and Mom and Dad’s relationship became our model of what a relationship is supposed to look like. In your family, love may have been contaminated by disdain, contempt, withdrawal, or abuse. 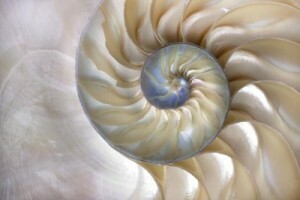 We were programmed to repeat their patterns – without conscious choice. This session looks at early infant bonding patterns and how those patterns get reproduced in our adult relationships unconsciously – until we change them. In this session, you’ll focus on money, wealth and abundance – or the lack thereof! What do you believe about earning a living in today’s economy? Is money really the root of all evil? If you want to experience true abundance, you have to eliminate the belief that money is bad – or a problem. Your current financial state is a reflection of the beliefs you inherited from your family, religion, and culture. Can you see their influence? In this session, you’ll focus on issues and problems with your health – whether they appear in your physical, emotional, mental or spiritual body. Ill health (dis-ease) is often the result of beliefs that were indoctrinated into you, or conclusions you came to when you came to certain conclusions during your early childhood. What do you believe and perceive about your body? Your health? Your age? Your vitality? Your ability to heal? The future of your health? Session 7: Clear Out The Rest Of The Junk In Your BeliefCloset! 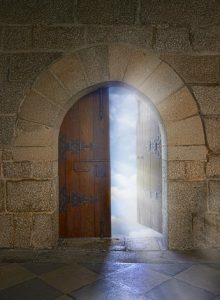 In this final session, you’ll examine any remaining issues or challenges in your life, and learn how to use the BeliefCloset Process to eliminate them, one belief at a time. 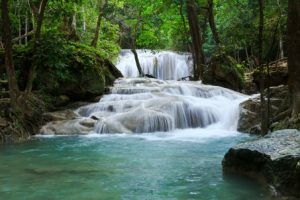 You’ll learn additional techniques for eliminating uncomfortable sensations and feelings, and open opportunities to experience the miracles of life. 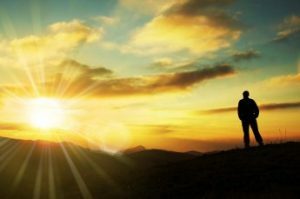 When you know that your feelings, perceptions, and circumstances are all created by your beliefs, and when you have a technique for identifying them and eliminating them, you’ll have the power of any Creator – the power to shape the world as you decide, creating a better place for you and those you love. Bonus #1: Love: What Makes It So Confusing? Guest Faculty: Carista Luminare, Ph.D.
We all want more love in our life, but something keeps getting in the way. We can’t seem to stop hurting each other. What’s going on? Carista shares the latest research on how our early bonding patterns with our parents play out repeatedly in our adult relationships. We’re confused about what love is, and how to love. The answers are in our neurology, our earliest programming, and our beliefs about love and how to get it. Learn how to determine your own (and your partner’s) LoveStyle, using the LoveStyle Profile Quiz (Bonus # 2). You’ll also get some practical tips for healing old wounds and bringing passion and security back into your relationship. Carista Luminare, Ph.D., is President of Luminary Leadership Institute. She has 30 years experience as a consultant, counselor and coach to executives, entrepreneurs, and organizations. Her comprehensive, holistic parenting methodology is described in her groundbreaking book, “Parenting Begins Before Conception.” In partnership with Lion, she developed LLI’s leading-edge evolutionary leadership program. After graduating from Harvard University in Psychology and Social Relations in 1978, she pioneered educational and therapeutic programs focused on the integration of the personality and soul. Take this 5-minute assessment to learn how your childhood bonding patterns impact your adult relationships. Developed by Carista Luminare and Lion Goodman, you’ll receive a complete ten-page report that introduces you to the 5 LoveStyles, and shows you where you are on each spectrum. 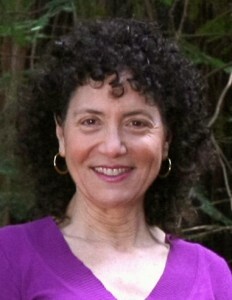 Guest Faculty: Anodea Judith, Ph.D.
Why don’t affirmations and the Law of Attraction work? You’ll learn why in this interview with internationally acclaimed author and teacher Anodea Judith, one of the world’s leading experts on the Chakras. Her books have sold more than 500,000 copies worldwide. 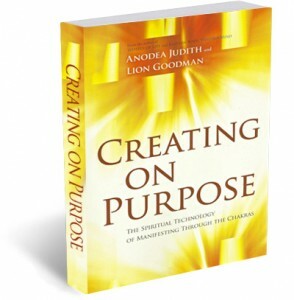 Lion and Anodea discuss the principles of Manifestation outlined in their book, Creating On Purpose: The Spiritual Technology of Manifesting Through the Chakras. Beliefs are at the core of the manifestation process, and their book is a step-by-step manual for turning any dream into a reality by taking a single idea down through the chakras and into the real world. You’ll receive the first two chapters of the book as Bonus #4, below. Anodea Judith, Ph.D. is the author of Wheels of Life, Eastern Body/Western Mind, Creating On Purpose (with Lion Goodman), and The Global Heart Awakens. She leads workshops on the chakras, psychological development, and spiritual transformation in the U.S. and around the world. Her books are considered classics in their field, and are used by many schools as textbooks for classes on healing and psychological development. You’ll receive a copy of Lion’s multimedia eBook, Clear Your Beliefs: Delete Your Limiting Beliefs and Transform Your Life. Lion explains the theory behind the Clear Beliefs Process, and explains why you do what you do, and why it’s so difficult to change your habitual patterns of thought and behavior. It’s a beautifully produced primer on beliefs: where they come from, how they impact us, and what it takes to change them. You’ll also receive a complete set of downloadable PDF transcripts from the course, so you can refer to the material anytime in written form. This includes all 7 classes, plus two bonus interviews! The Clear Your Beliefs program includes 8 personal coaching sessions with a Certified Clear Beliefs Coach. You’ll arrange weekly sessions, which will be customized to you and your needs. Your coach will guide you, step-by-step, through the process, and accompany you on your journey of exploration. Certified Clear Beliefs Coaches have been trained to help you deal with almost any issue – regardless of how long it’s been interfering with your life. 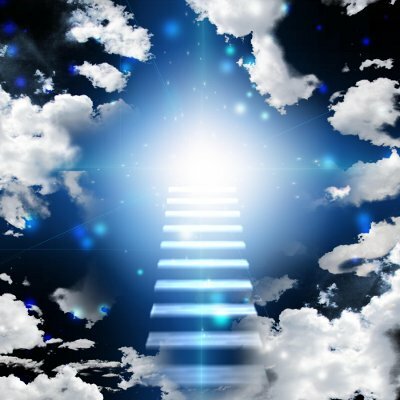 Your coach will safely guide you into the deepest levels of your psyche to clear old programming and beliefs that limit you or hold you back. 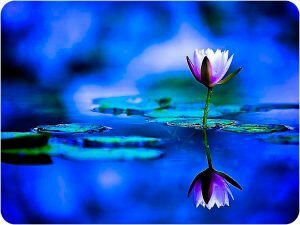 This place – which can be difficult to get to all by yourself – is where the most powerful changes take place. Your Coach will meet with you by phone (or Skype) each week, on a day that fits your schedule, at a time that’s convenient for you. They will guide you through difficult inner terrain you may encounter, and help you identify and delete difficult-to-locate core beliefs. Plus: 8 hours of individualized coaching by a Certified Clear Beliefs Coach. Customized to your needs and issues, your Clear Beliefs Coach will follow up on your results from each class recording, and take you deeper to ensure you’re clearing your core limiting beliefs. => What Makes Love So Confusing? 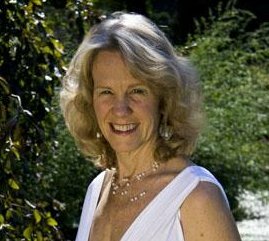 – Audio interview featuring Carista Luminare, Ph.D.
=> The Spiritual Technology of Manifesting – Audio interview featuring Anodea Judith, Ph.D.
=> A complete set of PDF Transcripts of all seven classes plus two bonus calls. 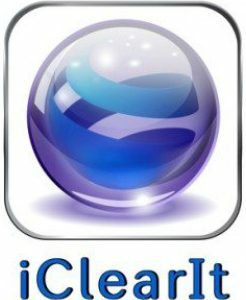 => iClearIt – the iOS app that guides you through a process for clearing pain or uncomfortable sensations, runaway emotions, or negative thoughts. For iPhone and iPad. Lion is C.E.O. of Luminary Leadership Institute, a consulting firm dedicated to bringing leaders of businesses and organizations into alignment with their True Self and their highest virtues. He is the creator of The BeliefCloset Process®, and author of Clear Your Beliefs: Delete Your Limiting Beliefs and Transform Your Life. He is the co-author, with Anodea Judith, of Creating on Purpose: The Spiritual Technology of Manifesting through the Chakras . 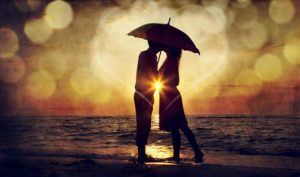 With his partner, Carista Luminare, Ph.D., he created a program for couples and singles who want to create a more secure and passionate relationship: Confused About Love? The Keys to Creating a Secure and Passionate Relationship. 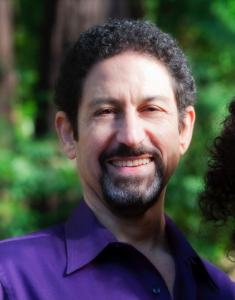 Lion has more than 35 years experience in transformational coaching, entrepreneurial business, spiritual practice, and men’s work. 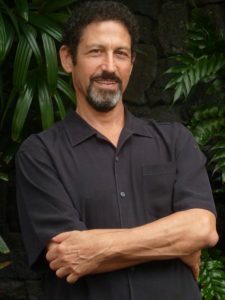 He is a co-founder of The Tribe of Men, an initiatory program for men, and served as Director of Men’s Programs for The Shift Network, where he created programs that served more than 20,000 people around the world. 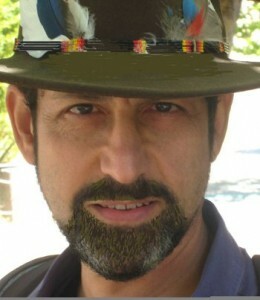 He blogs at www.GoodMenProject.com and www.YourTango.com. Are you a Coach? Therapist? Healer? Change Agent? Learn the Clear Beliefs Method through our 12-week, 75-hour training program. Help your clients clear their beliefs so they can clear what’s in their way, and move their lives forward, easily and effortlessly. The course is Accredited by the International Coach Federation for 48 hours of CCEUs. A: It’s a great way to engage with professional teachers from the comfort of your own home. All you need is a computer and an mp3 audio player. You will work one-on-one with your Clear Beliefs Coach by phone or Skype – at a time that’s most convenient to you. 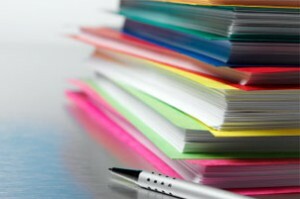 In addition to excellent guidance and feedback, you can ask questions and deepen your exploration of the course themes. Your call with your coach may have an additional charge, depending on your telephone service provider and your long-distance calling plan. You can also use Skype to call your coach to avoid long-distance charges. Q: How long will I have access to the course? A: You can download the course recordings, transcripts, and bonus materials from our online media archive to your own computer, so you’ll have copies permanently. Your Passcode, issued upon purchase, will allow you access to the material on the site for one year from your date of purchase. A: We offer a limited number of partial scholarships each year, giving preference to veterans, to those in developing countries, and to those who are doing important but underpaid work. If you would like to apply for a scholarship, please send a written request to info@clearyourbeliefs.com, with a description of your circumstances and your offer of what you can pay. A: Your satisfaction with this course is our highest priority! If you find within 15 days of purchase that the course is not meeting your needs, or the process is simply not working for you, please send a description of your concern to support@clearyourbeliefs.com. If we cannot address your concerns and make it work for you, we offer a full refund (minus any used coaching time) so you can try out the course risk-free. No refunds are available after 15 days from your date of purchase. A: Please send an email to support@clearyourbeliefs.com. We’ll get back to you within 48 hours (sometimes longer over weekends). A: We take your privacy very seriously. Your name and email are never shared with any other organization or person. We add your name and email to our customer database, and periodically send you newsletters and announcements with information about our programs and products. Our mailing list includes a number of brands, so you may see emails from ClearYourBeliefs.com, LionGoodman.com, or ConfusedAboutLove.com. You may unsubscribe anytime you wish. Unsubscribing will opt you out of all of our communications, so you will not hear about our other learning opportunities and programs. All information that you provide to your Clear Your Beliefs Coach will be held in strictest confidence, and will never be shared with anyone, with one exception: your Coach may communicate and consult with Lion Goodman, PCC for his support, and for quality control purposes. He holds all personal information in the strictest of confidence, as well.